Allhelgonakyrkan, situated on the island Söder, is one of the finest spaces for chamber music in Stockholm. The size is perfect, seating 250; the acoustics are marvelous, it makes no difference where one sits and the space can be filled equally well by a solo instrument or voice as by a chamber orchestra. Below you'll find information about ticket prices, how to become a member of the friends' organization - KVAH and directions to the church. one hour before each concert begins. 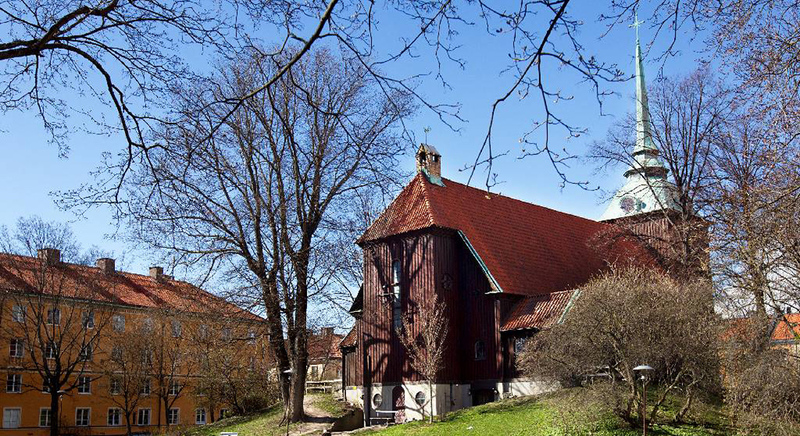 Allhelgonakyrkan is situated in Helgalunden, near Skanstull, on Södermalm in Stockholm. From the subway station Skanstull: Exit Allhelgonagatan. Turn left out of the station onto Götgatan towards Slussen one block to Blekingegatan. Walk up the hill two blocks to Helgalunden. Membership in Kammarmusikens Vänner i Allhelgonakyrkan, KVAH, is 250 SEK a year per person. Use PlusGiro-number 4875908-8 and write your e-mail address as well as home address. That way you receive information more quickly about coming events. Pay now and your membership is valid until December 31, 2019! *Membership is per calendar year.